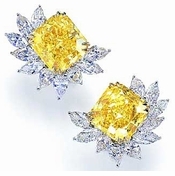 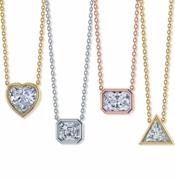 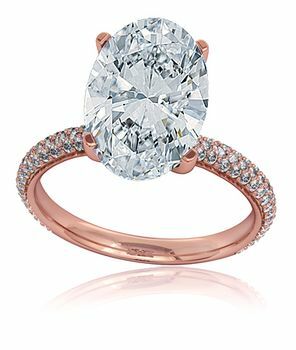 Ziamond is where discerning customers shop for the best high quality cubic zirconia jewelry exclusively set in precious metals like 14k gold, 18k gold and luxurious Platinum. 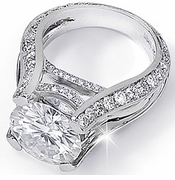 Our cubic zirconia jewelry and gems are the epitome of the finest lab created man made diamond simulants that the world has to offer and are backed with our comprehensive Lifetime Guarantee. 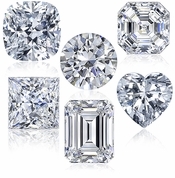 Ziamond's amazing cubic zirconia jewelry and cz stones are precisely cut then polished to fine diamond standards, ensuring our customers the true look and feel of a brilliant genuine mined diamond. 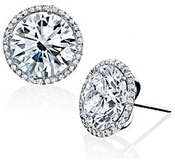 You can wear Ziamond's cubic zirconia jewelry daily with confidence and clean it just as if you would your fine diamond jewelry. 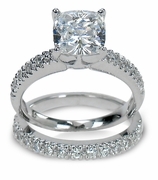 With over a century of fine jewelry experience our staff has the technical and artistic skills to create and execute any cubic zirconia jewelry design while maintaining attention to details, design quality and craftsmanship expected with fine jewelry. 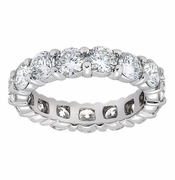 Whether it's diamond look cubic zirconia rings, cubic zirconia wedding rings, cubic zirconia engagement rings, cubic zirconia bracelets or cubic zirconia earrings, we look forward to providing you the Ziamond experience and see for yourself why we are recognized as a leader in our field as the best cubic zirconia jewelry company.